Ahead of its Canadian Premiere, TIFF held the Press Conference for The Front Runner. 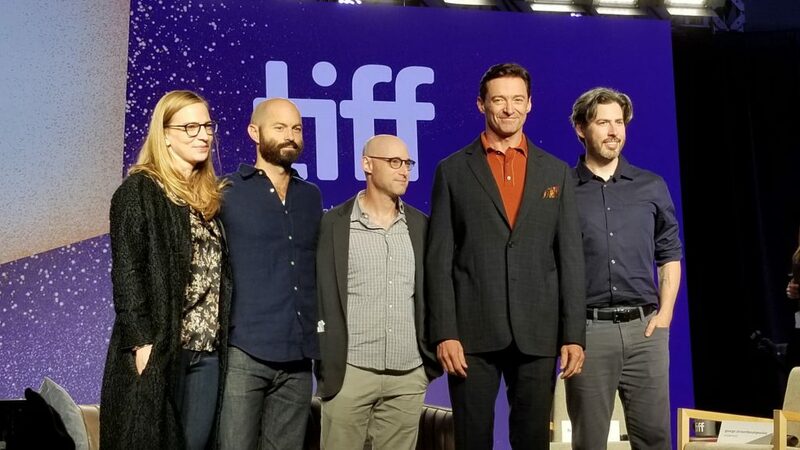 In attendance were Producer Helen Estabrook, Writers/Executive Producers Matt Bai and Jay Carson, Writer/Producer/Director Jason Reitman and Star Hugh Jackman. The Film, based on a true story, chronicles the fallout from reporters discovering and detailing the private life of Democratic Party Leader front running candidate Gary Hart (Jackman). The Front Runner screens Saturday, September 8 at 6:30 PM at Ryerson Theatre, Sunday, September 9 at 12:30 PM at Elgin Theatre, Friday, September 14 at 1:00PM at TIFF Bell Lightbox and Saturday, September 15 at 6:00 PM at Ryerson Theatre.